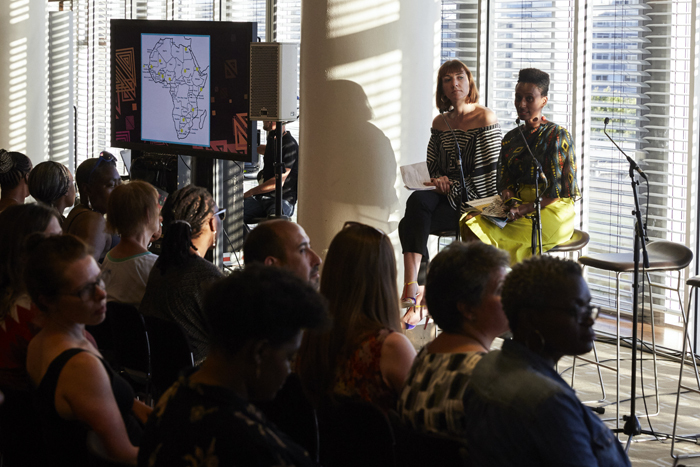 Nataal marked our one-year anniversary by hosting our first London event - the Africa Utopia warm-up salon at the Southbank Centre on Friday 26 August. As the sun began to set across the Thames and golden light streamed into the fifth-floor, floor to ceiling windows, the sold out evening began with an introduction to Nataal by myself, and to this year’s Africa Utopia festival by the Southbank Centre’s senior programmer for contemporary culture, Hannah Azieb Pool. Next up Nataal co-founder Alassane Sy introduced and screened his directorial debut, the short film Marabout. Shot in Dakar, the drama tells of the real struggles faced by street children and the influence that can be wielded over them by some spiritual leaders. The powerful yet ultimately liberating tale received a warm and engaged response from the audience during the lively Q&A. Finally Bumi Thomas rounded off the salon with an intimate acoustic set. 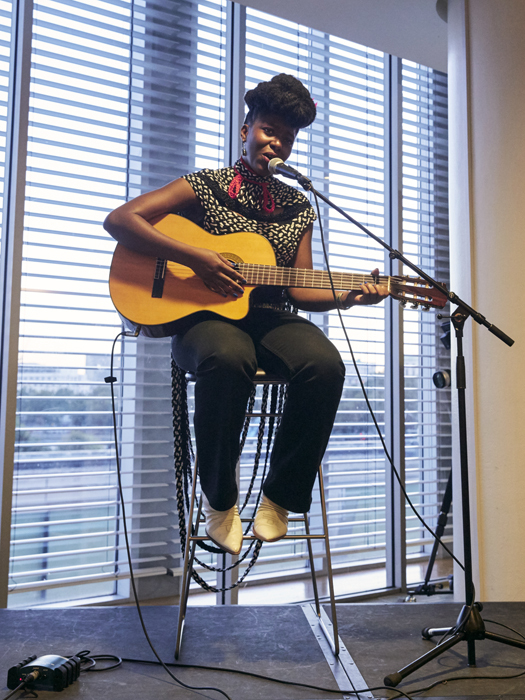 The Nigerian singer, songwriter and visual artist uses song to tell odes of transformation, displacement, joy and humanity through her unique, soulful sound. She’s previously performed everywhere from Ronnie Scott’s to the Royal Opera House and releases an new video soon. Tonight’s delights began with Crossroads, “an affirmation of growth and realisation that losing and rediscovering one’s essence is in some ways the rhythm of evolution.” Free As A Bird followed, “a song with an oneiric sensibility echoing freedom to be, create, exist, explore, love and live without constraints.” And Thomas ended on Self Portrait, which had everyone in the room singing along to the chorus: ‘Only you can tell your story / Paint a portrait of your truth.’ A song encouraging open dialogue about the cultural, sociological and economic progression of contemporary Africa, its sentiments continued to echo with us all as guests talked and mingled out into the hot summer night.